I’ve been a fan of Sanderson since I discovered the first Mistborn book (which blew me away). He’s a master plotter and storyteller, and, so, no surprise, I truly enjoyed this book. The setting is the near future on Earth, in a world where a mysterious star called Calamity has appeared in the sky. Calamity transformed lots of people in super-powered beings called Epics. People thought Epics would be good and bad, but so far they’ve only been corrupted by the power granted to them. The most powerful of them is called Steelheart, and he’s taken over the city the main character, David, lives in. David vows vengeance against Steelheart, who is supposedly invincible. The premise is brilliant, and about the most awesome re-imagining of superheroes I’ve seen. Everything from goofy names to weird powers, to weirder weaknesses comes along and gives these characters the feel of comic books. Except taken in a totally straight-up, real world. Sanderson writing is good, but his storytelling, his ability to blend in surprising twists that you should have seen coming, is where he truly shines. As in many cases, the story just keeps building and building in a kind of avalanche of revelations and twists. While overall it was a lot of fun to read, if I had to choose one thing that didn’t work for me, it would be a small quirk of the main character. He’s got this talent of being awful at metaphors. And I know it was supposed to be funny, but it ran its course for me all too quickly and became slightly tedious. Fans of urban fantasy, super heroes, and sci-fi. Seriously, this is a book worth checking out. 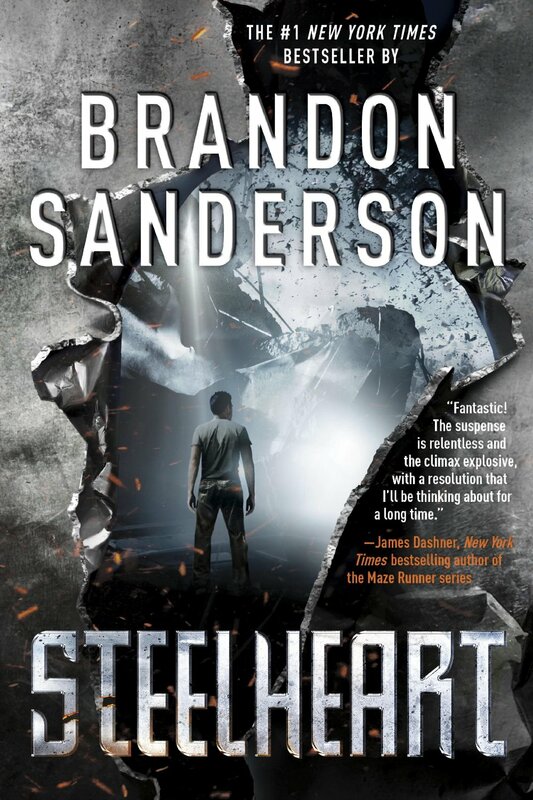 CLICK HERE TO GET YOUR COPY OF STEELHEART TODAY!